Industrial Training Institute (ITI ),Dehgam (Dist. 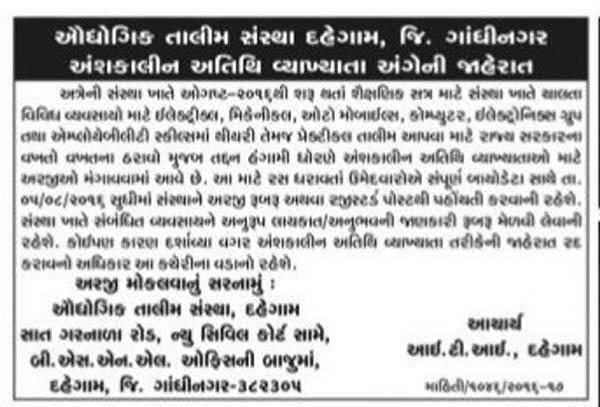 Gandhinagar) published recruitment advertisement for Lecturer Posts. Send Application to This Address : Audyogik Talim Sanstha (ITI), Sat Garnala Road, Opp. New Court, Near BSNL Office, Dahgam, Dist. Gandhinagar - 382305.